Every day at Aegis Dental, we see patients of all ages who are anxious about visiting the dentist, and thankfully, our warm and friendly team is often enough to help them feel comfortable and relaxed in the chair. However, for patients who need a little more assistance to combat dental nerves, we can offer nitrous oxide sedation. 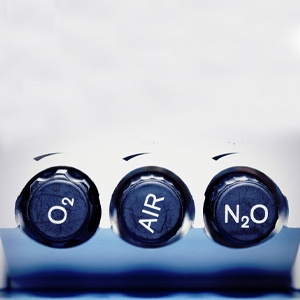 Nitrous oxide, better known as “laughing gas,” is a colorless, odorless gas that has been used for generations to help calm fearful dental patients. In our office, a patient simply inhales the gas through a small nasal mask, and within a few minutes, they will begin to feel warm, happy, and maybe even like they are floating. The gas also lowers a person’s ability to feel any kind of discomfort. The mask will stay on for the entirety of the appointment, and once it is removed, the gas’ effects wear off almost instantly, allowing a patient to go back to their day without any lasting drowsiness. If you believe that you or your child could benefit from using nitrous oxide sedation at your next appointment, just give us a call today.